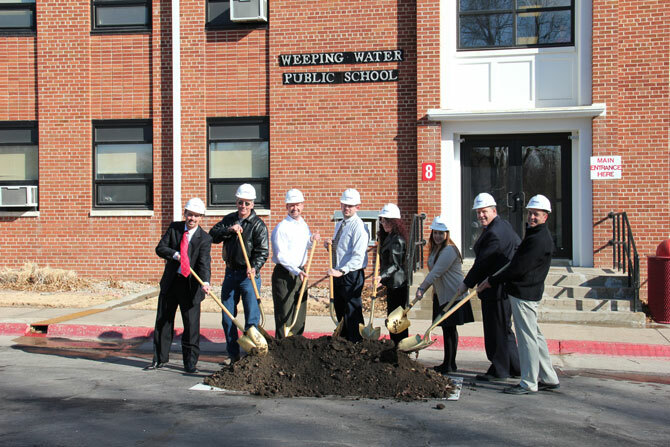 Weeping Water Public Schools celebrated the groundbreaking of their new facility yesterday, which involves the addition of 68,000 SF and renovations to incorporate new energy efficient HVAC for heating and cooling, as well as a new fire sprinkler system, to their existing building. Terry Wood, AIA, and Molly Macklin, Assoc. AIA, attended the event along with Weeping Water staff. The additions and renovations will allow all of the students to be under one roof, while eliminating portables altogether.